The Legal Services Board (LSB) has expressed concern that the cost of practising as a solicitor remains the same even though the Solicitors Regulation Authority’s (SRA) budget continues to fall. However, it has decided to approve the application from the Law Society and SRA for the 2015/16 practising fees, set at £320 for individuals, with firms between them again contributing £62.7m. In all, Chancery Lane is looking to raise £105.8m, a £900,000 increase on last year absorbed by the annual increase in the number of practising solicitors. 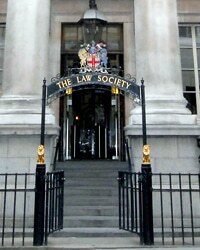 Practising fees makes up about 75% of the Law Society’s total income. Overall its budget for 2015/16 is £141m. In a letter yesterday to the Law Society and SRA, LSB strategy director Caroline Wallace said the oversight regulator was pleased that practising fees will not be increased. “Nonetheless, we are concerned that this is against the background of the total SRA budget falling for the third successive year, despite the SRA’s increased contributions to [the Law Society] Group shared services,” she wrote. “There have been other reductions, such as the decrease in the LSB and the Legal Ombudsman levy, as well as a reduction in the Solicitors Disciplinary Tribunal costs. Some £54.1m of the practising income will go to the SRA, £35.3m to the Law Society and £16.5m on the various levies. The SRA’s share is up £1.2m. However, the application revealed that this was because there would be a lower level of funding from reserves than in the current year. In fact, the SRA expected its directly controlled expenditure – excluding its contribution to shared services and central costs – to fall by nearly £3.4m to £44.1m in 2015/16, although its net funding requirement of £30.9m has changed little because of anticipated falls in other income. The Law Society’s share is up £3.4m on the previous year. As well as shared services, this pays for so-called ‘permitted activities’, work which under the Legal Services Act 2007 it is allowed to fund via practising fees even though not regulatory in nature. Other work has to be funded through commercial income. Shared services and central costs accounted for £41.5m in total between the two sides of the group. The cost of the various levies is falling in the coming year from £20.1m to £16.4m. The application also said that at the end of October 2014, the Law Society Group had cash reserves totalling £130.6m.